Michael J. Fox and Selma Blair. Image via Instagram. 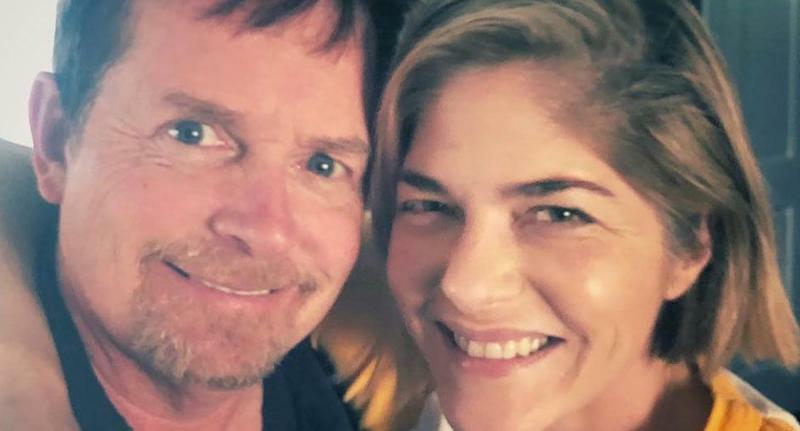 Selma Blair is leaning on some of her famous friends for support. The 46-year-old actress recently shared a photo to social media of herself and Michael J. Fox, who she credits as a key source of support during the early days of her multiple sclerosis diagnosis. Blair reached out to Fox, who was diagnosed with Parkinson’s disease in 1991, for help when she first began experiencing symptoms of she would soon discover was MS.
After opening up about her diagnosis in October 2018, Blair has been open about adjusting to life with an illness which, similarly to Parkinson’s, affects the central nervous system. While Blair says doctors are hopeful that she will recover 90 per cent of her abilities within the next year, she is relying on allies like Fox to remain positive. Check out Yahoo Canada's podcast, Make It Reign — our hot takes on all things royals in a non-stuffy way — on Apple Podcasts and Google Podcasts.